Combining a small master bathroom with an adjacent half bath created a footprint large enough for a soaking tub and glass shower. 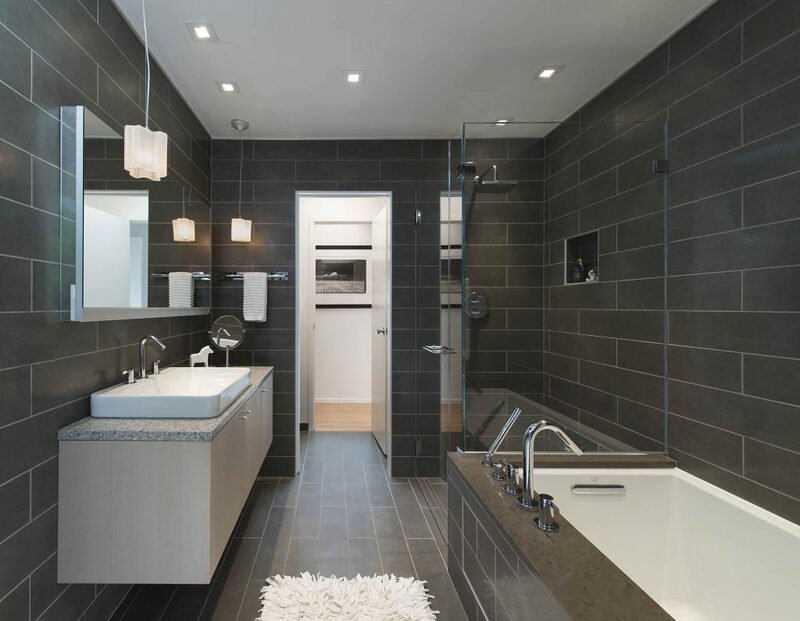 A discrete pocket door into the toilet area closes to create a separate powder room, while the continuous large-format wall and floor tiles make for a cohesive whole. 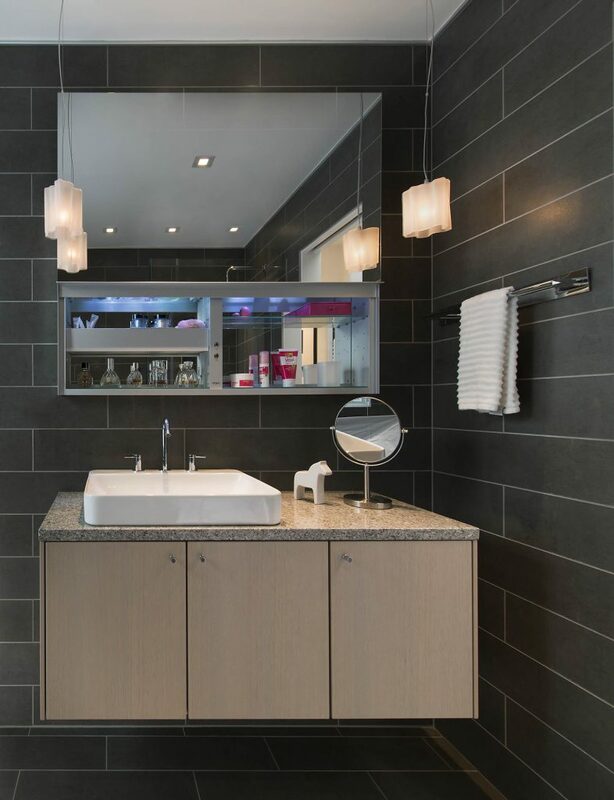 The large frameless mirror and floating sink cabinet make the narrow bathroom seem larger. The medicine cabinet’s lift-up feature reveals ample storage, complete with adjustable inserts, electrical outlets, and a convenient nightlight. 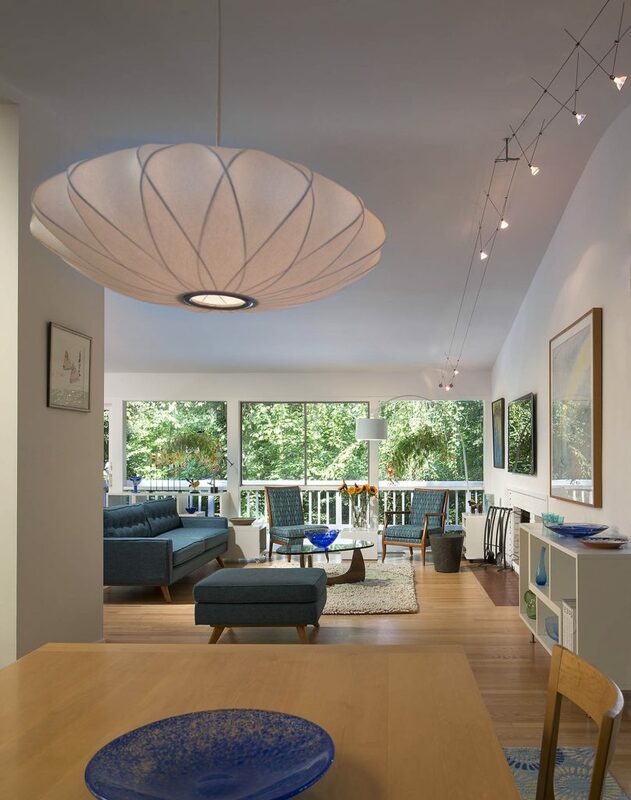 Abundant recessed lighting and a striking pair of pendants adjust for either makeup or mood. 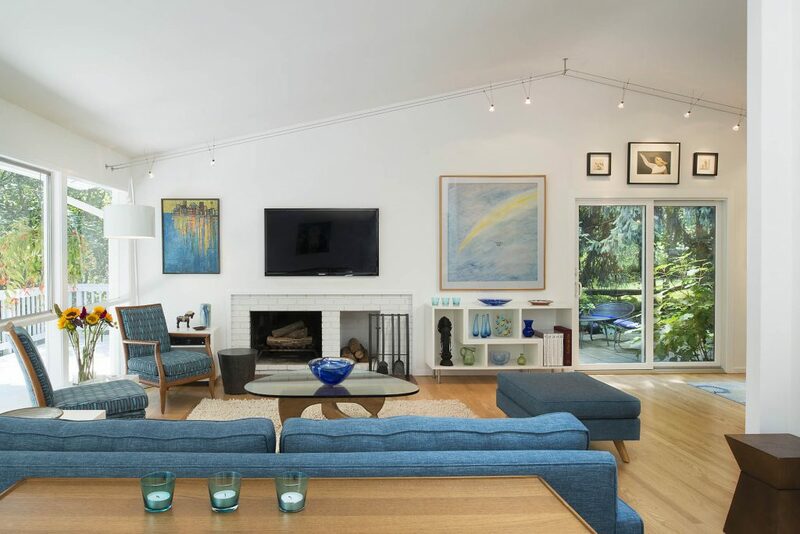 The living area’s raised ceiling follows the roofline—and maximizes the home’s open floor plan. An oversized punch in the wall separating the dining area and kitchen continues the open plan and enhances the first-floor flow. 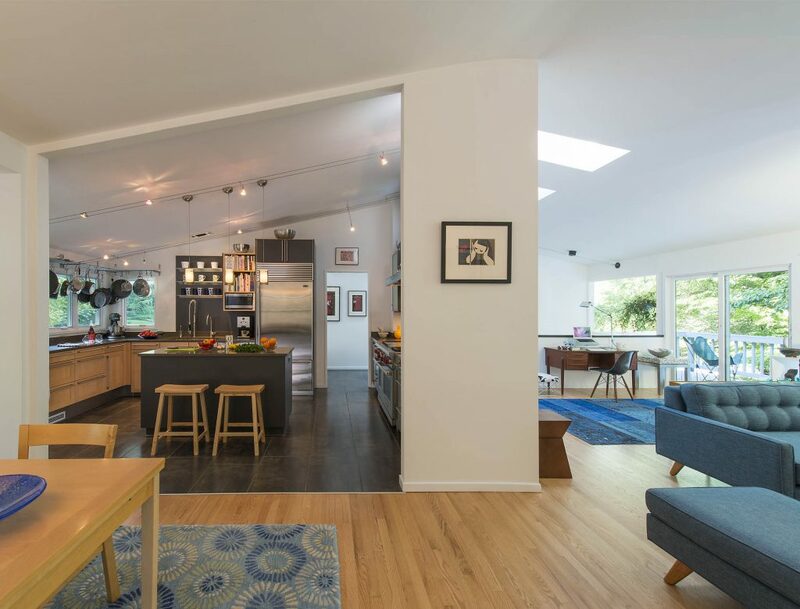 Natural light floods the living space from above, where three well-placed skylights do their part to let the outside in. Floor-to-ceiling windows provide a year-round display as the house’s wooded lot changes with the seasons. Large-format porcelain tile—in mottled hues that mimic distressed metal—spread from the floor to the oven wall to create a dramatic backsplash. 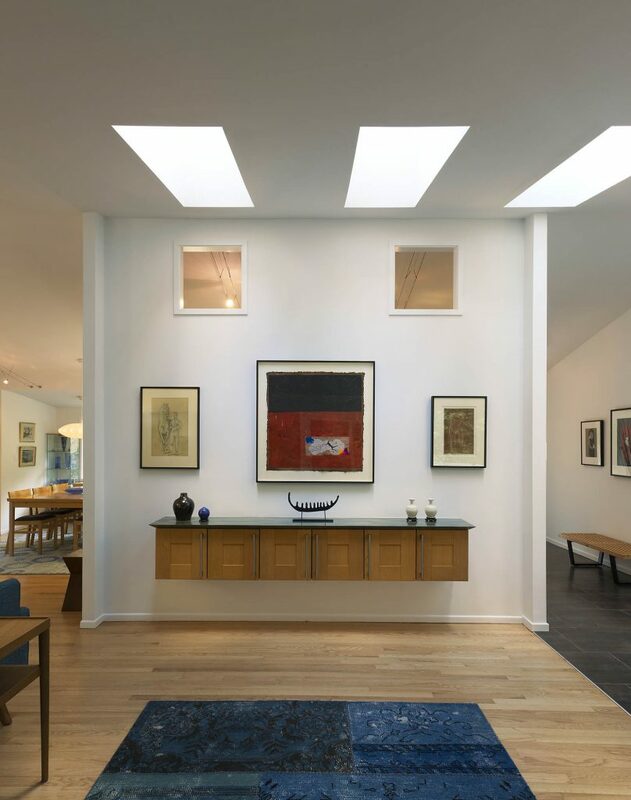 A pair of high punches let in light from the skylights in the adjacent space. 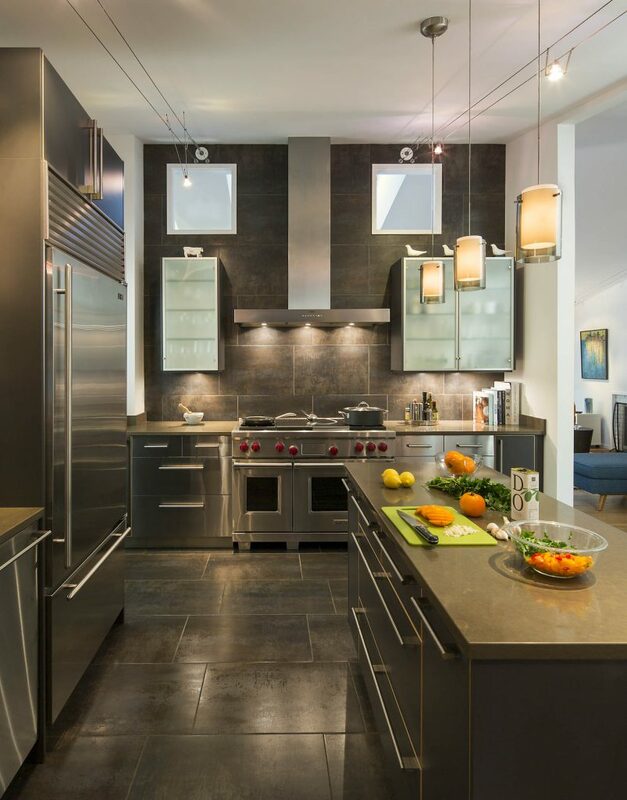 A rich palette of earthy colors, stainless steel, and glass combine to create a hardworking yet welcoming kitchen. A floating buffet cabinet hangs beneath three selected works on the living room’s art wall. 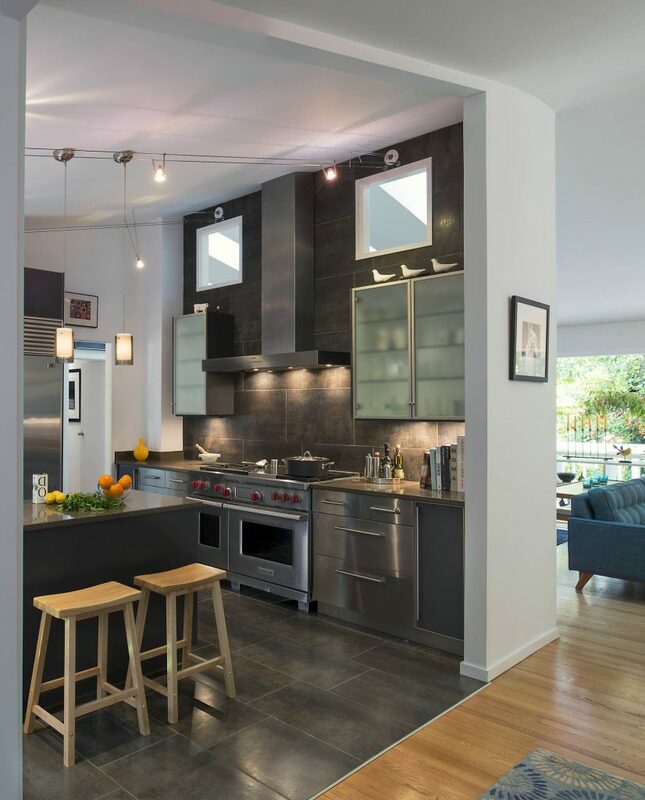 The punches above do double duty by allowing light into the adjacent kitchen. 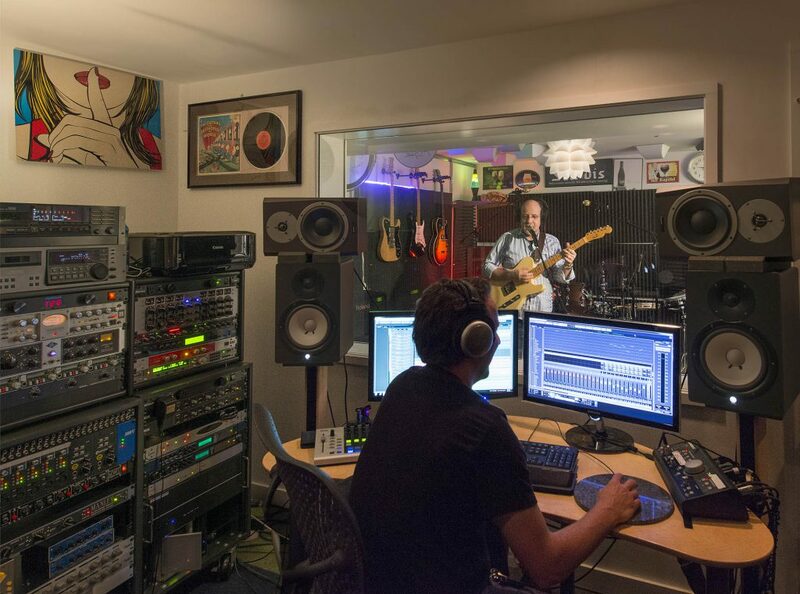 The at-home recording studio—complete with soundproof tracking room and vocal booth—hits all the right notes. 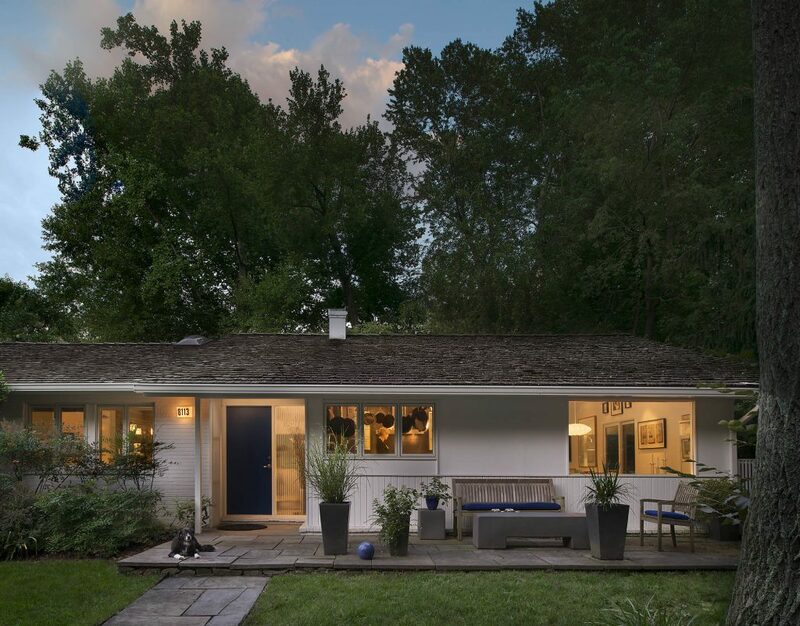 The 1960s contemporary rambler gets a bright, white exterior for better—and more cohesive—curb appeal. The blue door with reed-glass sidelight adds a pop of color.